We have seen this bird in Bohol three times and in Zamboanga once, saw a pair in Samar. 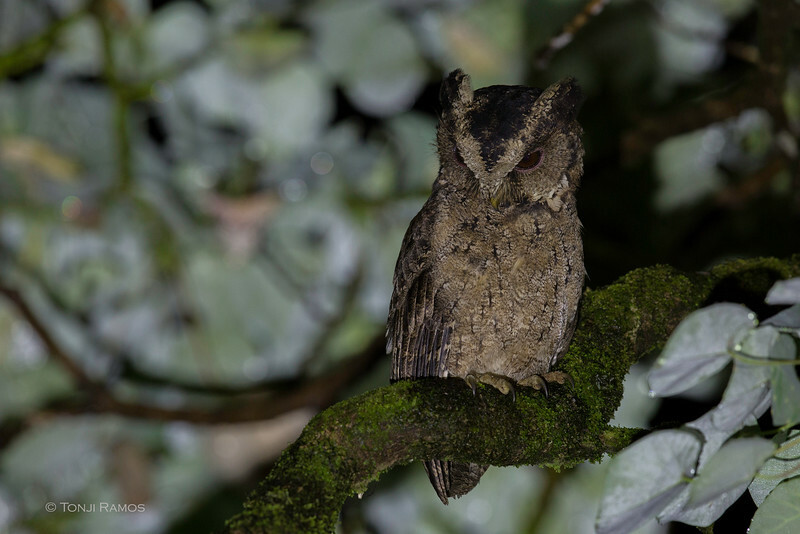 Just like the Luzon Lowland Scops we also heard it calling at close to 5000 feet on Mt. Kitanglad. It seems to overlap the Mindanao Scops at that elevation. It was once considered a race of the Philippine Scops Owl but has recently been split and is now a separate species. It is much smaller than the Philippine Scops. A good place to see this bird is in Raja Sikatuna National Park. This is where we first saw the bird, we were with Lory Tan and Timmy delos Reyes.